New York is a constantly changing city, things come and go. Every time I go there I’m reminded of this. It has a relentless forward momentum. This is one of it’s best and worst qualities. More often than not there is a sincere respect for the past. The balance between history and the progress of the future is something New Yorker’s value. Balance though, as in everything, is hard to find. What should be saved and what not? I’ve always thought 5 Pointz was an amazing place. There aren’t many places today that create a sense of awe. It’s hard to impress anybody in this instant world, but this place did it to me. I had a studio in Long Island City and always loves going though 5 Pointz on the 7 train. I found it inspirational to be immersed in the graffiti painted environment as I arrived in LIC. 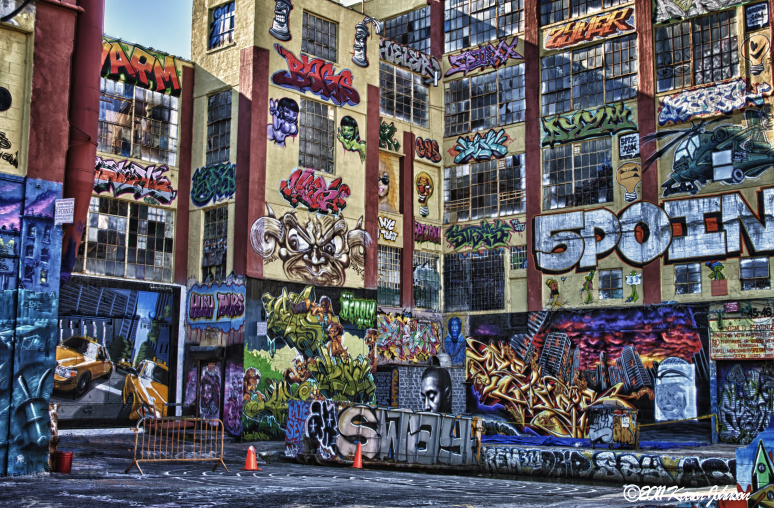 5 Pointz was white washed late last year and is slated for demolition to construct high-rise condos. So is progress. I feel a sense of loss for this, and my first instinct was for it to be saved. Thinking about the idea of the place I was reminded of the organic nature of the city. The city was never totally about the constructed environment, it’s more about what people do with it. How they adapt, interact, what are the connections, and what is created within on the street level? This was never better illustrated than in Jane Jacob’s book The Death and Life of the Great American City. In her battle with Robert Moses over the construction of the Lower Manhattan Expressway she saved Greenwich Village with her depiction of the organic nature of her neighborhood. 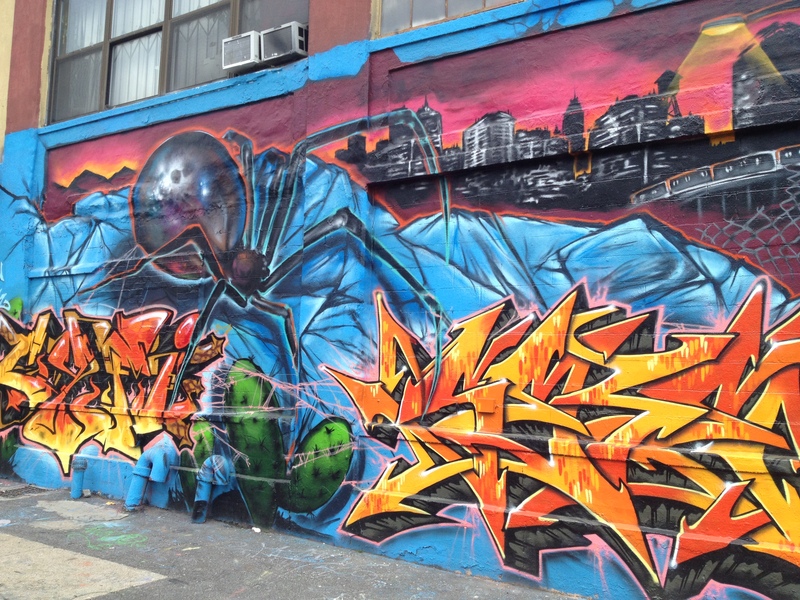 While 5 Pointz is an urban organic creation, was it meant to last? Is it sustainable in an urban sense? A series of events coalesced to create it. One of the main ones being that the owner allowed it. While it is awe-inspiring, it’s days were really numbered from the beginning. Maybe 5 Pointz falls into a category of being a temporary organic happening that really can’t last for whatever reason. 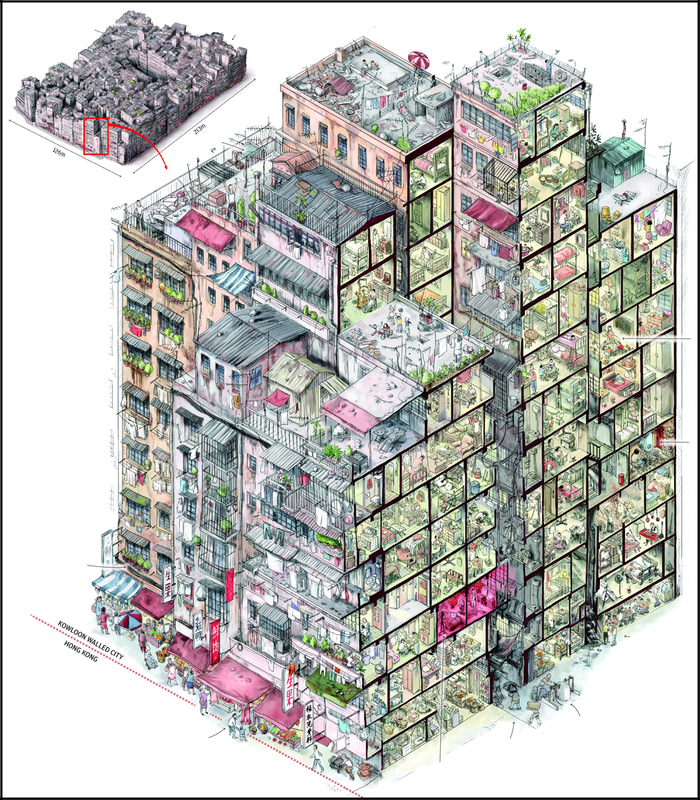 I think one of the best examples of this is the former Kowloon Walled City. 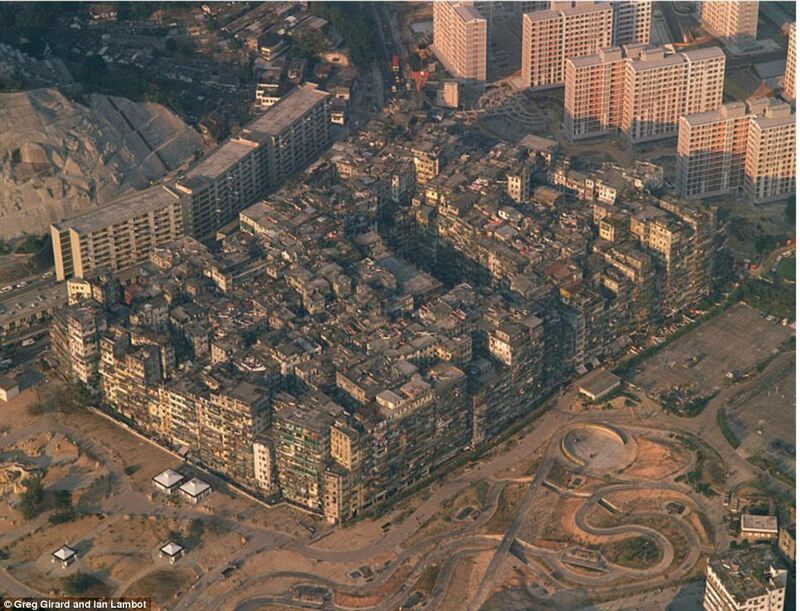 Kowloon Walled City was demolished in 1993. 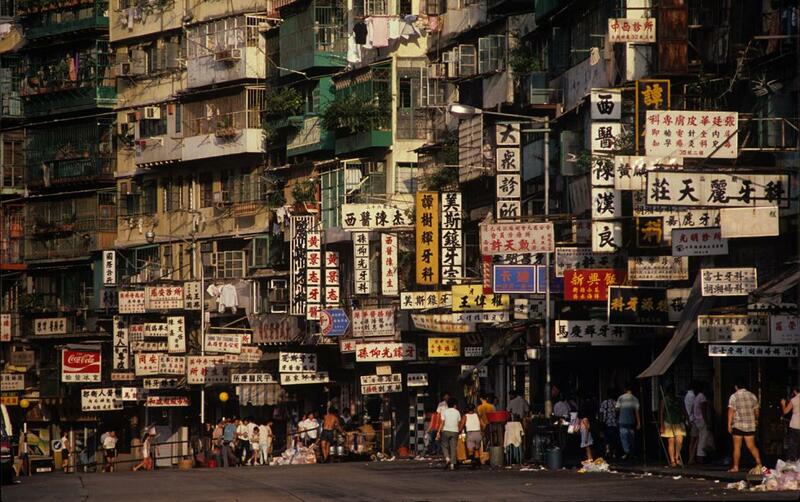 Located in Hong Kong, it was the densest human settlement in history. Caught between the jurisdiction of China and Great Britain KWC evolved. It was 13 stories high, encompassed 6.5 acres and housed 50,000 people. The density was equitable to if everyone in Manhattan moved to the Lower East Side. KWC is awe inspiring just reading about it, I couldn’t imagine actually seeing it. Independent of any governmental control it became a self organizing community. Although amazing and successful in many ways, it just ethically couldn’t remain. As part of the transfer of Hong Kong from Great Britain to China it was demolished. Still there remains a lore about it, and it continues to be case study for urban planners and architects. It may be extreme to compare 5 Pointz with Kowloon Walled City, but maybe they both had their time. They were created out of conducive conditions but are not able to last other than in memory. The nature of graffiti is temporary anyway. 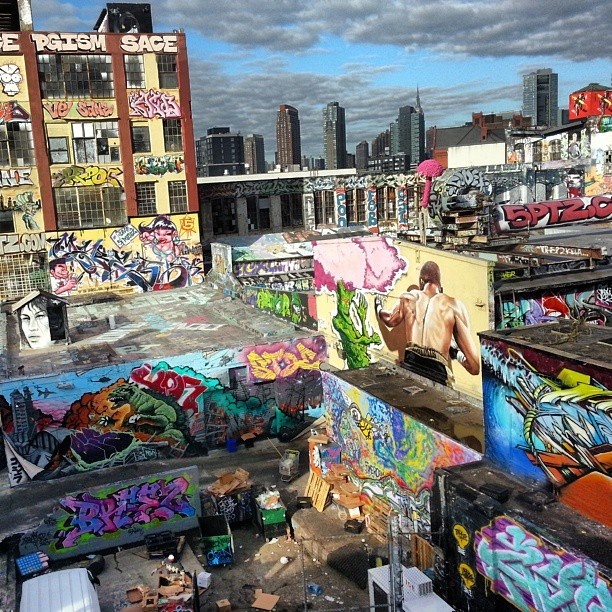 Another graffiti mecca will emerge somewhere else. Hopefully it will be in NYC where it belongs and not in some other city. That would be a true loss.